Another WPA mural inside the children's ward. 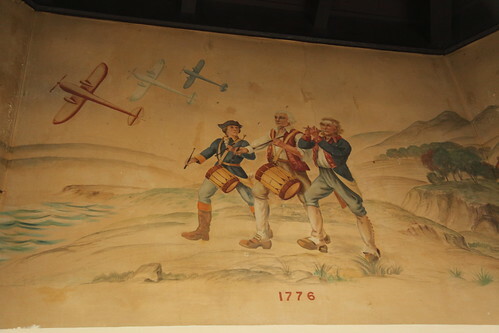 Of course I don't remember fighter planes serving much of a role in the American Revolution. Also rather ironic to include revolutionary iconic artwork in a facility that was predicated on incarcerating and "providing care" for people against their free will despite that they had in most cases never been convicted of a crime. Somewhere out there, I've seen another explorer who found records for patients who were committed to this facility for radical political beliefs and even homosexuality.